The Coen Brother's are releasing a new film in the new year, HAIL CAESAR!, and I think someone better pinch me because it looks so good I might be dreaming. I know I have been AWOL for the last couple months, but this was just the thing to bring me back to sharing what I love in entertainment. First off it has an all star cast, including George Clooney, Scarlette Johanson, Josh Brolin, Frances McDormand, Channing Tatum, Tilda Swinton, Jonah Hill and the list goes on and on. 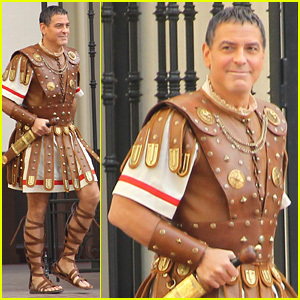 Second, don't let Clooney's costume confuse you, it is set in the golden age of Hollywood (I think we all know I like that). Finally, if all that weren't enough, it's a COEN BROTHERS movie. It's projected to release February 5th, 2016. I'm so looking forward to this film coming out! thanks for the update.